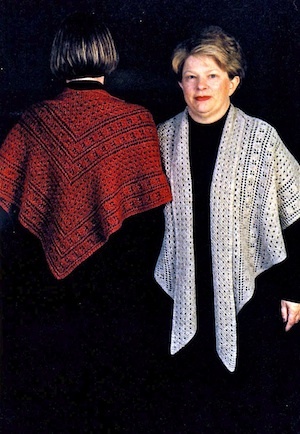 This lace garment is knit on the bias beginning at one corner and ending at the other. A simple shaping technique forms the lapels. The finished size of the shawl is 30" down the center back and 33" down each of the front sides. The pattern is both written and charted.